Want to feel great in the afternoon at work? Try this recipe for a light meal! Want the full 24-hour detox? Subscribe to the Healthy Secretary e-mail list here. 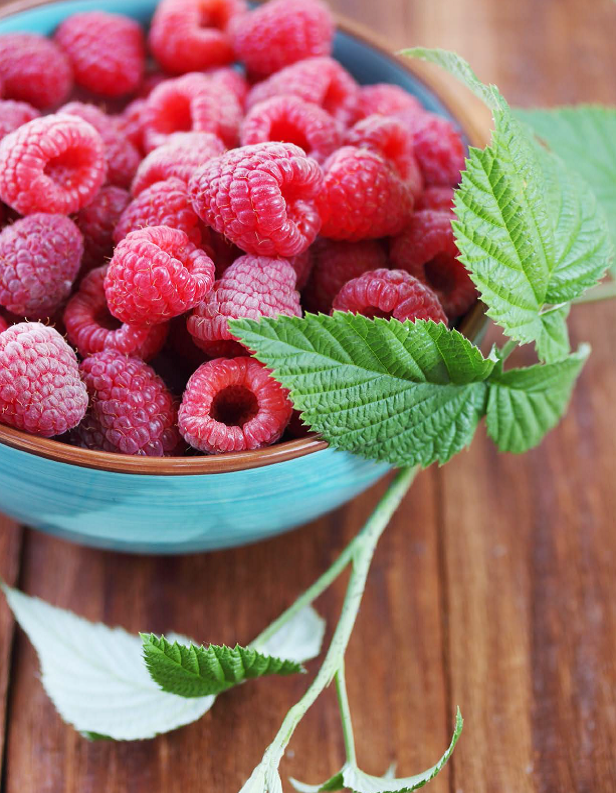 Want your own Clean Eating Plan, check it out here! Want a great breakfast juice that is cleansing to your system and delicious to drink? Check out the following recipe from the Simple 24 Hour Cleanse! Wash all ingredients and then juice! Squeeze in a lemon to your juice and you are done! Want to get this recipe and a whole day of cleanse recipes and advice? Subscribe to the Healthy Secretary Newsletter! Have a great week everyone! I’m off to Minnesota this week. I want to thank everybody for your support these past couple of years as I’ve had a blast writing this blog. I want to let all of you know I have decided to blog less frequently. I had gotten so wrapped up in marketing my business to all of you that I’ve missed the real, true reason why I decided to start this blog and that was to share. Share yummy recipes, share great ideas, share valuable knowledge that I’ve learned with the Institute for Integrative Nutrition. I also share when things are going great, and when things aren’t going so great, I mean, we are all human afterall. I’ve come to a conclusion that focusing on my full-time position with the University of Colorado and devoting my time to developing a 28-day program with a peer who also graduated from the Institute for Integrative Nutrition is where I’m growing my efforts. I’ve had so many ups and downs these past couple of years, it will feel great to remove some programs that are not serving me or my clients and reinvigorate my zest for health. Wow, with that being said, I truly feel like a lighter person, and I didn’t even have to go on a diet! The ALS Ice Bucket Challenge has created a ripple effect around our nation and others as well. A seemingly innocent request amongst celebrities has become a nationwide phenomena. Now folks from all walks of life know what ALS stands for and this ripple effect has created nationwide awareness of the disease. ALS stands for Amyotrophic Lateral sclerosis, often referred to as Lou Gehrig’s Disease. It’s a progressive neurodegenerative disease that affects the nerve cells in the brain and spinal cord and then to the muscles throughout the body. This devastating disease needs more research and with a ripple effect, research dollars are pouring in nationwide. It’s interesting how social media has changed our society in a way we could have never imagined. I love the ripple effect, which got its name from the ripples created in the water. What I like most about it is that the positive effects of one person can be seen by several. Think of “pay it forward”. And just as a positive ripple effect exists, a negative ripple effect can counteract. Recently, I was involved in my own downward spiral with the ripple effect. One seemingly innocent request, approved my supervisors, turned into an office drama, which in the end led me to positive corrective steps. I won’t bore you with too many details, basically, I asked for my cell phone to be paid for by my office as I use my cell phone a lot for work, and it would have given me an equal “raise” as far as my other colleages received. Both my direct supervisors approved, however, others in the office got involved and in the end, not wanting to continue the negative energy of the situation, I decided to pay for the phone bill myself. What happened afterward, quite literally, put me into therapy and questioning whether the work environment I was in was serving me anymore. One person I help out, not my direct supervisor, decided to seek assistance for calendar, travel and other items elsewhere, others in the office gossiped about my request, and then others made requests on my professional time that were most inappropriate. Fortunately, having a weekend to sort things out proved mighty useful. I learned that my request made a ripple effect in my office that was not as positive as the ALS bucket challenge. I had to stop the ripple immediately, and I did just that. I commanded the universe to cut the cords that were attaching me to the negativity in the office, I started listening to Gabrielle Bernstein presentations “Course in Miracles”, I made an appointment with a therapist for unbiased help on getting me through my day and I made an appointment with a retirement counselor for the pension program in which I participate. I could have spent my time sulking instead of taking positive action, and wouldn’t you know it, each positive action lead to another ripple effect. A personal ripple effect in my life, things that I am grateful for rather than resentful of. Not working for one of the administrators in my office freed up my time to really work with my supervisors on their meetings and events that have some real meaning for them. It also meant I only work in the office, no overtime and I’ve created a clean separation between responsibilities in the workplace and free time away from work. The course in miracles helped me to identify small steps everyday that lead to gratefulness, things like getting an awesome $5 Starbucks Card today for filling out a survey, or running into someone from my past over the weekend who was a big part of my life, and we just lost touch, or having a positive ripple effect on someone else. I have learned that actions I take effect others, and I’ve been more cautious of my words and actions. 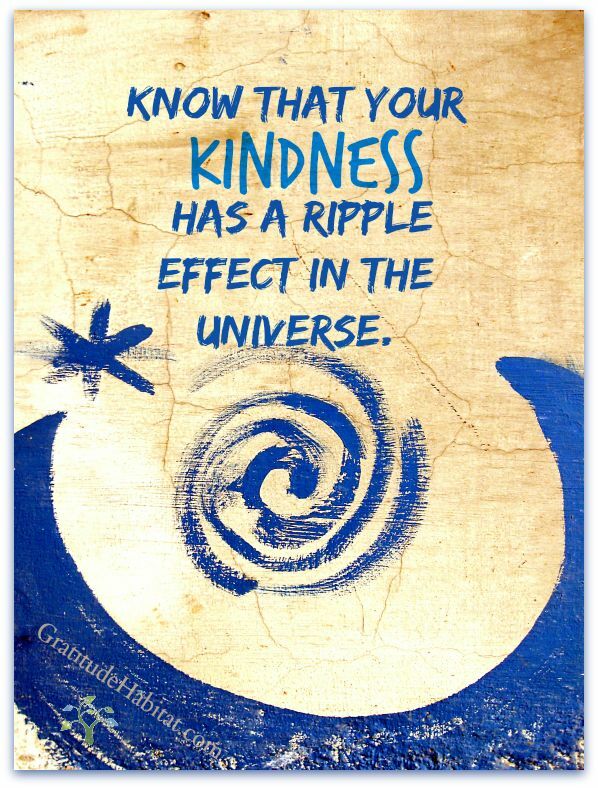 What type of ripple effect are you making in the world? Make some comments below. Last week I had mentioned to all of you I am going back to basics, trying to find my true calling with my nutrition business and also trying to get some balance in my life. 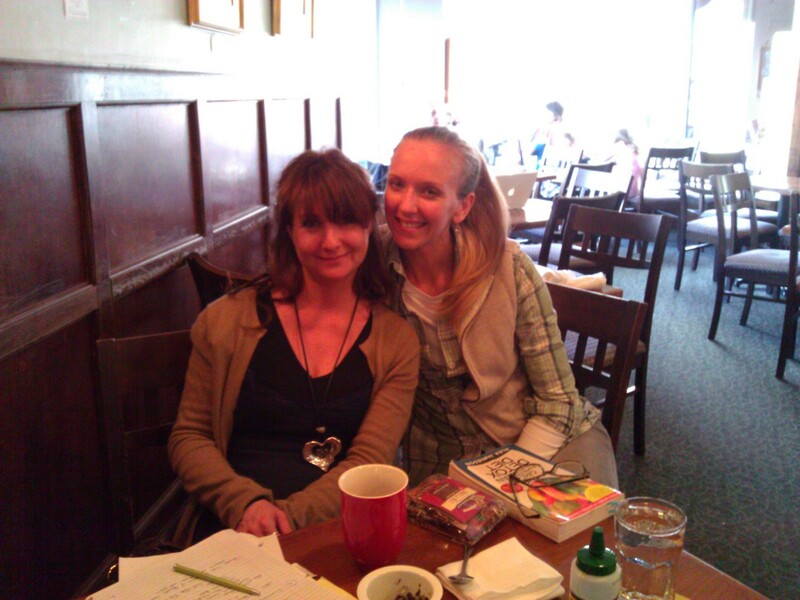 I have been having a great time listening to classes from the Institute for Integrative Nutrition when I first enrolled. These classes remind me of visualizing my practice, starting to conduct health histories with new clients, and how to teach simple meal planning. I’ve been enjoying my trip down memory lane and have really kept a focus of helping others. I’ve found that by helping others, I’ve gotten back wealth in the form of friendship, gratitude and some said cash as well. By changing my focus from “why am I spending time on this, I’m not making a profit” to “how can I serve and help others”, I’ve found I’m able to be more positive and bring more of my true self to the client relationship. I’m also reminded that my education with the Institute for Integrative Nutrition, is not just a training program but also a self growth program. Listening to all of those classes again, I can see how much I’ve been able to develop my sense of self and I’m able to prioritize my day a little better. Yesterday, for example, I was planning on getting some work done for my Lisa’s Lentils Health Coaching Practice, however, I really felt more like spending time with my boyfriend relaxing and I did just that. It felt strange not being on the go, but at the same time, it was a great day for my relationship and my body felt more refreshed today getting ready for work, rather than being tired from the previous day’s activities. and if you are interested in a six-month, very easy, self-care recommendation, check out this resource, also by the Institute for Integrative Nutrition! And if you are interested in some super delicious recipes, check out Lisa’s Lentils Recipe Link! 5 diet types for every body, because we’re all unique! The Institute for Integrative Nutrition came out with this infographic highlighting the five most popular diet types today. 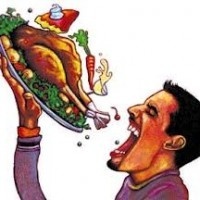 Most of my friends and family members are really into the Paleo diet, but this doesn’t work for us vegetarians due to the nature of the diet which focuses on grass-fed meat and fish. You also hear about gluten-free diets for individuals who have become allergic or have sensitivities to gluten which is a protein found in wheat, barley and rye. You can find gluten-free products available at mainstream markets as well as health food stores. Beware of the sugar content in the gluten-free products. Sometimes I feel like these companies are sacrificing health for sugary taste, which causes other issues int the body. I can recommend the Tinkyada line of pasta, which I’ve found to have a great texture and taste. If you want to check out gluten-free options, the pasta is a very good start. I have learned that in order to reap the benefits of a gluten-free lifestyle, you must go gluten-free for at least six-months. Macrobiotics, listed below, was very popular a few years ago and focuses on Yin and Yang food choices. You’ll see an explanation above and if you’d like more information about this diet type, feel free to make a comment below and I can write a blog focusing on this diet type. 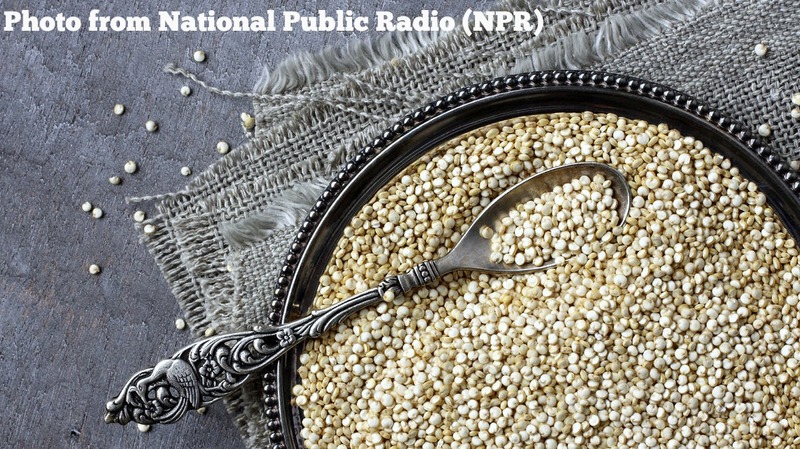 The foods that are highlighted include seaweed, brown rice, and fermented soy. It’s a great option for vegetarians. Vegan diets and Raw Food diets to me, seem extreme. I do have friends that do one or the other, sometimes both who have had tremendous results with their health and energy. A raw food diet consists of vegetables and fruits, not cooked over 118 degrees, which makes having a vitamix and dehydrater imperative. 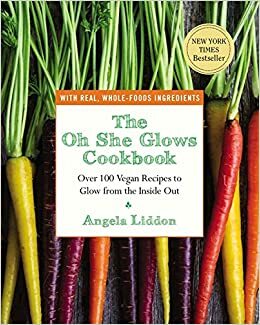 A great cookbook for vegan diet is “Oh She Glows Cookbook”, and can be purchased for as low as $14.99 thru Barnes and Nobles. I have the cookbook and have made several delicious dishes that even my boyfriend Chad enjoys. I highly recommend this cookbook if a vegan diet is something you’d like to try. The main focus of any diet should be health and no matter what your eating style, make sure you get plenty of water, veggies, fruits, nuts, seeds, grains and beans so you’ve got the energy to get through your day. A restrictive diet is no way to live. I had been on a calorie restrictive diet for a year and it became an obsession. I feel like as long as you are healthy you should choose moderation. There is more information on the Institute for Integrative Nutrition Blog on healthy lifestyle, recipes and nutritional advice. You can check out their posts from my Lisa’s Lentils Website here. What I’ve learned recently – S.M.A.R.T. As many of you know, I graduated from the Institute for Integrative Nutrition last year. Since that time I have enrolled in their optional Immersion Program. I’ve had a blast this past couple of months learning how to be a better health coach, a better listener and become better at marketing my business, Lisa’s Lentils. This past week we’ve learned how to set S.M.A.R.T. goals which is something I’ve really embraced for myself and my clients. Timely (yes, I put a time limit on the goal, 2 weeks). I also learned as important as it is to put my S.M.A.R.T. goals in place, I will also want to know why this is my goal, why would I want to lose 5lbs. Would it be to look better in my bathing suit because I’m getting ready for a beach vacation, and I want to look good on the beach so I don’t feel self conscious walking around in a bikini? My real why, my reason behind my goal is so I don’t feel self conscious about my weight. Something else I learned at IIN is that we want to put an emotion with a goal. 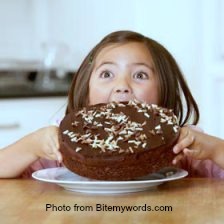 It’s not enough to say “I want to lose 5lbs” but I need to have an emotional reason tied to my goal in order to make it stick. What are your goals for the coming weeks? Can you use the S.M.A.R.T. goal planning to assist you? Do you know your why? Check out the info graphic below to see some areas that you can focus your S.M.A.R.T. goals. If you are interested in the Institute for Integrative Nutrition, I have up to $1,000 scholarships available, feel free to e-mail me at lisa@lisaslentils.com for information. Did you know that Taking Time for Yourself is One of the Most Important Health Habits You Could Have! Making time to focus on yourself is an essential way to connect with your spirit on a deeper level and find lasting self acceptance. From your center you can become your authentic self. Make sure to set-aside daily work weekly time for yourself. It could just be taking an evening bath, meditating or finding a yoga class. Whatever it is that you enjoy doing, make time for this activity. It’s important for your health and well-being! Recently I attended a training on Steven Covey’s 7 Habits of Highly Affective People. I had read the book many years ago and attended training which include the principles of the 7-Habits, but I had never been fully immersed it in as I am now with my training, a workbook, a support buddy from the class and a daily task that relates to the 7-Habits. If you have not taken this training or are not aware of the Habits, then you are in for a treat. All week I’ve been tweeting and posting about this great advise that has changed how I respond on e-mail and in person to people, how I prioritize my day/week/month, and how my goals are structured. Enjoy this short segment on 7-Habits adapted from the Institute for Integrative Nutrition. Take personal responsibility and initiative. In other words, be proactive. Make a decision to create change in your life instead of simply reacting to external forces. Get clear about what’s important to you and set goals. 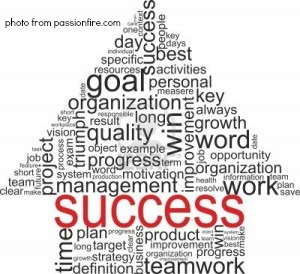 Have your own personal mission statement, and create both short and long-term goals. Write them down. People often find themselves achieving victories that are empty, successes that have come at the expense of things they suddenly realize were far more valuable to them. Put those priorities first and be disciplined. Prioritize the most important things in your life. Make choices that help move you forward toward your goals. Seek mutual benefit in all interactions with others – practice the Golden Rule. Try to find “win/win” solutions to problems. Pursue situations and relationships that are mutually beneficial. Value differences and create third-alternative solutions to problems that are better than “my way” or “your way”. Use individual differences to a situation’s advantage. Often, a better solution can be found by taking each person’s point of view into consideration. Take care of and renew yourself in four areas of life: Body, mind, heart and spirit. Maintain a balance between work and self-care. Take time to rejuvenate and recharge. If these 7-Habits seem authentic to you, you may want to investigate further. 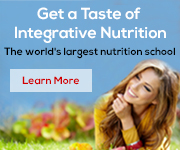 If you are interested in nutritional theories, assisting people with their health and well-being, the Institute for Integrative Nutrition may be a great start to a new career or some self-development. Click on the infographic below and you’ll find Integrative Nutrition’s Program Guide. As an IIN Ambassador I have the opportunity to get you a discount on tuition up to $800!!! As me how. Do you know Beans about Beans? 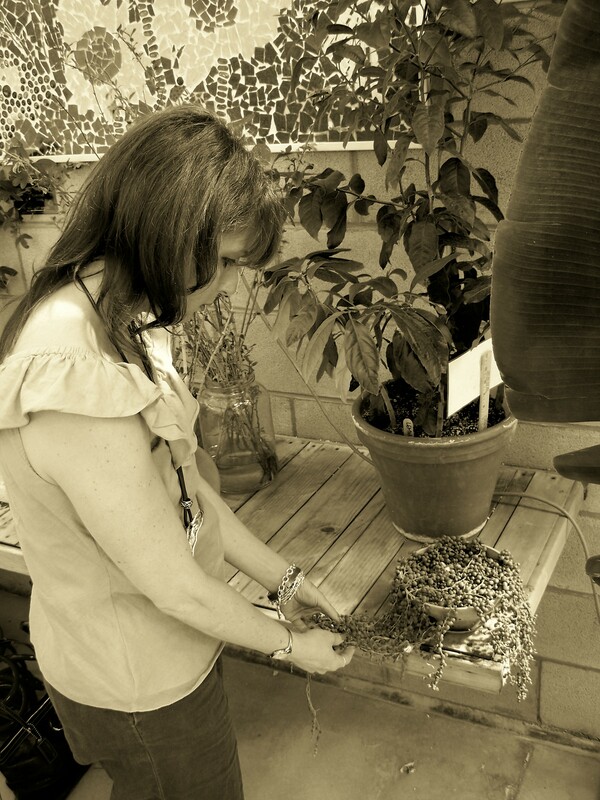 Soak for six hours or overnight, with water covering four inches higher than the beans. 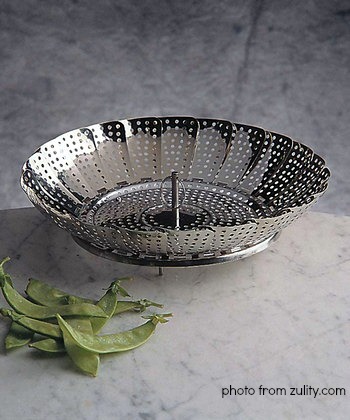 Small and medium-size beans may require less soaking – about four hours should be enough. Note: if you’ve forgotten to presoak the beans, you can bring them to a boil in ample water to cover. Turn off the heat, cover the pot and let stand for one hour. Drain and rinse the beans, discarding the soaking after. Always discard any loose skins before cooking, as this will increase digestibility. Cover, lower the temperature, and simmer for the suggested time. Check beans 30 minutes before the minimum cooking time. Beans are done with the middle is soft and easy to squeeze. About 10 minutes before the end of cooking time, ad 1 teaspoon of unrefined sea salt. *All times are approximate. Cooking lengths depend on how strong the heat is and how hard the water is. A general rule is that small beans cook for approximately 30 minutes, medium beans cook for approximately 60 minutes, and large beans cook for approximately 90 minutes. Be sure to taste the beans to see if they are fully cooked and tender. Experiment with combinations, ingredients, and seasonings. Legumes combine best with green or non-starchy vegetables and seaweeds. Season with unrefined sea salt, miso or, soy sauce near the end of cooking. If salt is added at the beginning, the beans do not cook completely. Salt is a digestive aid when used correctly. Take enzymes with your meals. Check out Lisa’s Lentils Recipage for more great bean recipes and subscribe to Lisa’s Lentils Newsletter a Free Spring Salads Recipe Guide plus a free subscription to the Lisa’s Lentils newsletter filled with lifestyle tips and easy tasty recipes as well as a Free Pre-Detox Guide, 7-Days of e-mails sent right to your inbox! Content on this webpage contains the copyrighted material of Integrative Nutrition Inc., 2014 (Used with permission). Gluten, which literally means glue in Latin, is a protein found in wheat, barley, and rye. It is most problematic for individuals with Celiac disease and gluten sensitivity. Since Celiac disease only affects 1% of the population, the likelihood of it is rare, and a lifelong gluten-free diet is necessary. Some of the symptoms of gluten sensitivity, which affects many more people, include; irritable bowel syndrome (IBS), neuropathy (nerve pains and numbness), autoimmune disease, and inflammation. 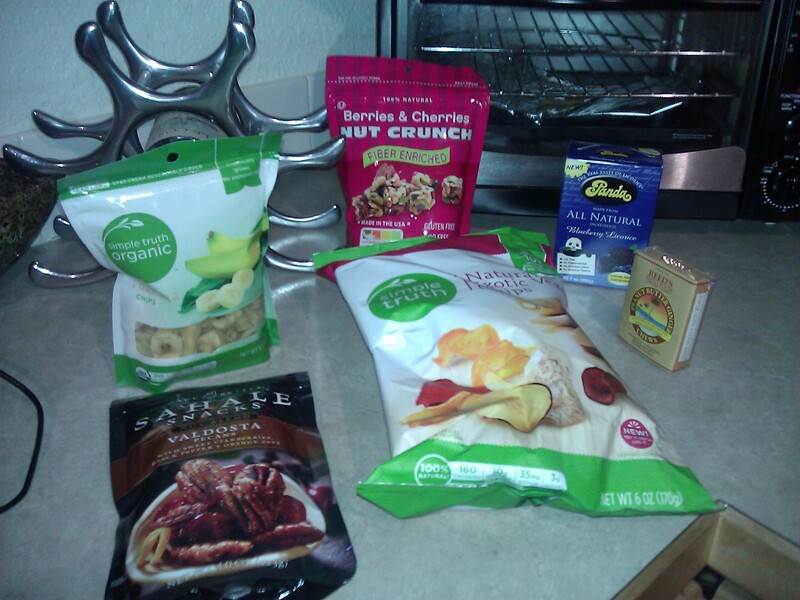 Naturally gluten-free foods are mostly wholefoods like fruits, vegetables, nuts, seeds, beans, herbs and wild rice. You can also find gluten-free pasta, cereal, bread, waffles, pancakes, and cookies at most natural foods stores, many supermarkets, and some local grocers. 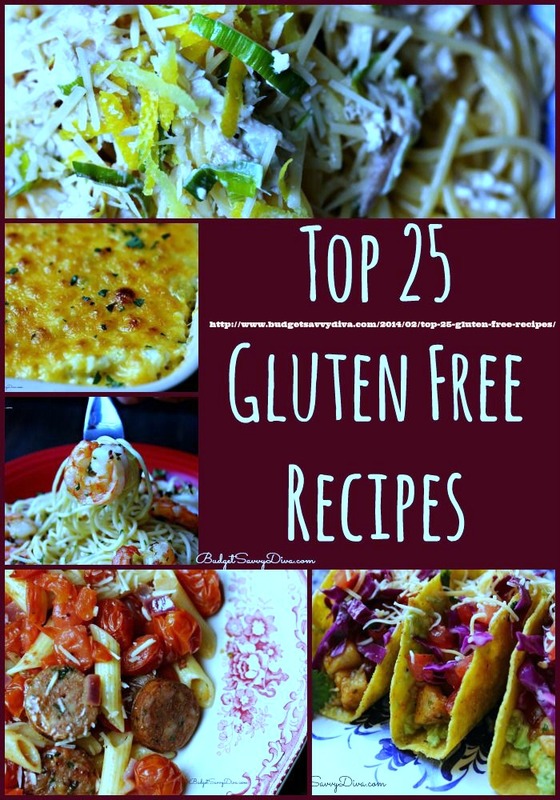 Gluten-free foods include potatoes, buckwheat, corn, rice, quinoa, amaranth, teff, millet, beans, nuts (and nut butters), eggs, fruit, vegetables, herbs, spices, meats, and fish. Foods to avoid when going on a gluten-free diet include wheat, kamut, spelt, rye, and barley. The larger issue when trying a gluten-free diet is the danger of cross contamination so make sure to clean out all cutlery drawers, replace wooden spoons and cutting boards, use a new toaster for gluten-free foods only, mark containers “GF” on the lid to denote gluten-free items and dedicate shelves and cabinets in your kitchen and refrigerator to “gluten-free food only”. 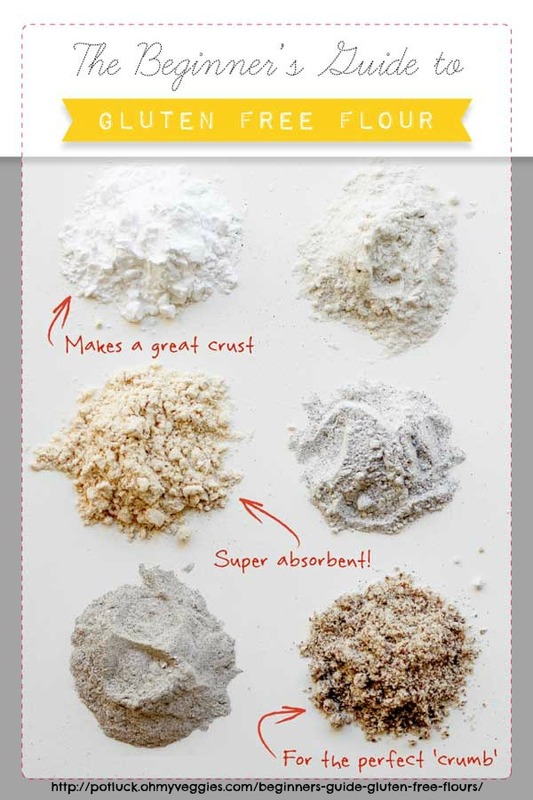 Combine gluten-free flours and potato starch, sugar, cloves, cardamom, and salt. Add butter and cut until mixture resembles coarse cornmeal. Add sour cream and blend until dough begins to come together. Do not form a ball. Transfer fruit slices to a pie dish or a 9 inch baking dish. Combine lemon juice and vanilla in a small bowl. Pour over apples and toss to coat. Combine 3/4 C sugar, flour, and cloves in small bowl. Sprinkle over fruit and toss to coat. Rearrange fruit to make compact and wipe rim of dish clean. Place dough atop fruit and gently tuck edges under at 3-inch intervals. Sprinkle with remaining 2 t sugar. Sprinkle 1/4 C sliced almonds over top. Bake for 35-40 minutes. 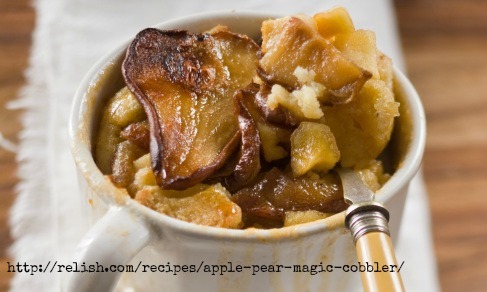 The cobbler is done when the topping is golden brown and the fruit bubbles around the edge of the pan. 2014 Integrative Nutrition Inc. (Used with permission). Vegetable Cooking Methods Elementary and Easy – why wouldn’t you eat more veggies? Vegetables provide nutrients needed to maintain daily wellness. If you want to increase energy, improve physically, lose weight and maintain wellness, you need to increase your intake of veggies. 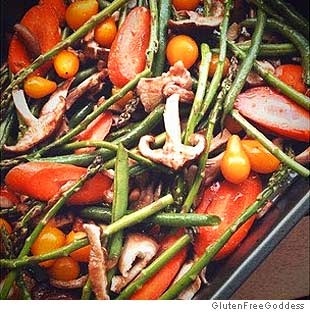 Cooking methods are limitless and the amount and combinations of veggies you can put together for yourself are endless. Steaming is one way to prepare simple, clean-tasting vegetables. Steaming takes 5-10 minutes for green leafy vegetables, and 10-25 minutes for roots. 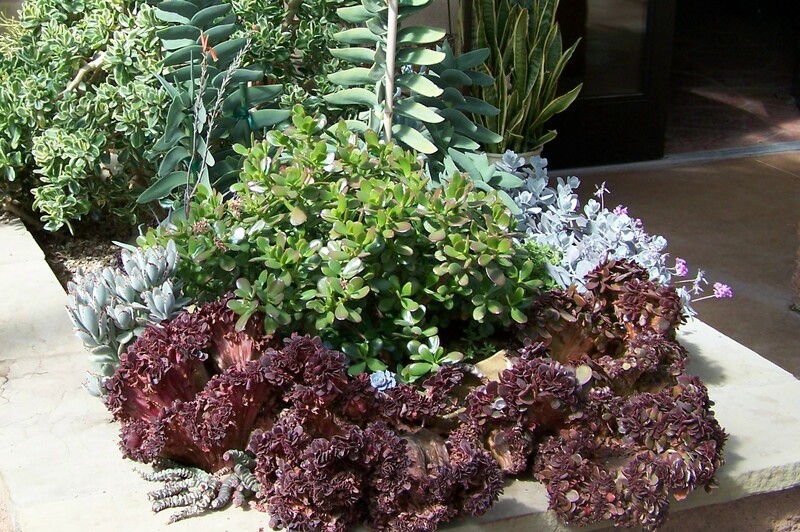 All you need is a steaming basket and a pot with a lid, filled with about 2 inches of water. One if the best ways to steam veggies is to wash them, chop them into smaller sizes because they will cook quicker, bring the water to a boil, please the veggies in a steaming basket over water and cover, steam until they become a bright color and have a texture that works for you, then remove and run under cold water. Blanching, or quick boiling, is another way to prepare veggies very quickly. Blanching helps to break down the fiber of raw vegetables more so than steaming, which may aid digestion. Blanching vegetables also removes the raw flavor and brightens up their color. To blanch veggies just bring water to a boil, add a pinch of salt, wash and chop the veggies, drop the veggies into the water and lower the heat, cook until they become right, and then rinse with cool water to stop the cooking process. If you like your veggies soft, cook them longer. Stir Frying is another quick and nutritious way to prepare vegetables. You can stir-fry any kind of vegetables in oil or water. Softer vegetables such as Chinese cabbage, bok choy, thinly sliced carrots, mushrooms, and onions will only take a few minutes to cook. Before you start, make sure you have all the vegetables rinsed and cut into pieces – thinner slices and smaller pieces will cook faster and more evenly. If you choose to use oil, heat a wok or frying pan and add a small amount of oil (like peanut, sesame, or coconut oil). 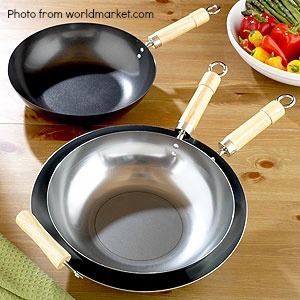 If you are making a small amount of vegetables, brushing the wok or pan with oil is usually enough. Start with the harder vegetables like roots. Add one variety at a time and cook them until they become shiny before adding the next ones. Sprinkling a pinch of sea salt over the veggies draws just enough moisture to prevent sticking and will bring out the flavor. You may also sprinkle water over your vegetables to gain extra steam and heat. If you want to stir fry with water, which is what I do, add one inch of water to your wok or pan, and bring to a boil. Add thinly sliced vegetables and cover, then simmer for 5-10 minutes. cooked grains to the vegetables toward the end for impromptu “fried rice”. Green leafy vegetables – Collard greens, Kale (dinosaur kale, purple kale, and Lacinato kale), Dandelion greens, Mustard greens, Chards: Swiss chard, red chard, and rainbow chard, Beet greens, Watercress, Parsley, Dark lettuce. Hope this helps make it easier for you to eat your veggies!!! *Content on this webpage contains the copyrighted material of Integrative Nutrition Inc., 2013 (Used with permission). I know it’s been a while since I’ve written to all of you, but a lot has happened to me in the past 9 months. No, I didn’t have a baby, but I do have two new “babies” in my life. In September I was told my brand new boss that I should look for another job. This came days after she told me that she was happy to have me work in the office. You see, over the summer I was told this new boss did not want me to work for her so I went ahead and proactively applied for two other positions. I was in the offer stages of one position and the interview stages of the other job. I took my name out of consideration for both positions one day prior to learning the news that my new boss really didn’t want me to work for her. Fortunately, the job I have now, is the one that really wanted me and I able to get my name back in the pool of applicants. Now this sounds easy, I got the job I have now within the week of this woman telling me I should look for another job, however, it was a deep blow to my system, both mentally and physically. I lost a lot of weight. I ended up weighing 97 lbs with in the week of her telling me that I would basically lose my job, a job I had for 13 years. I had to be put on antidepressants and that basically turned into a real bad experience as I had 9 our of the 10 side-effects from the medication. The only side-effect I didn’t have, causing harm to others. I’m still seeing a therapist to get over what happened to me. What I’m telling you here is really gentle compared to the actual situation. Now, several months later, I’m settled into my new job, I actually LOVE my new job and the people I work with. I’m in a much better situation and out of a very toxic environment which, I hear, has continued to spiral downhill for all these months. I’m grateful for the situation I went through, it made me stronger, and it helped me realize that things really do work out for a reason. My second baby is my health coaching business. I had to take a hiatus and wasn’t quite sure I would ever come back to it, but now that I’m settled, I’ve found my rhythm, I’ve been able to start my new business called Lisa’s Wellness. You can find out more about Lisa’s Wellness at www.lisaswellness.com. As I transition to my new business, I will still post blogs here for all of you while you migrate to my new website. You can like me on Facebook at https://www.facebook.com/LisasWellness/ where I’ll be posting all sorts of information. I have teamed up with USANA as an Associate, you can find that website here. USANA is a wonderful vitamin, supplement and nutrition company endorsed by Dr. Oz and many olympic athletes. You can find my USANA website at www.lisaswellness.usana.com. I’ve been using their supplements for 3 years and I absolutely love them. I’ll be offering healthy eating programs tied to the supplements. You’ll also find that I’ve deeply discounted my 7-Day Detox program to $24. If you are interested in a gentle detox and learning about healthy eating, you can check it out here: www.lisaswellness.com/day-detox. I look forward to interacting with all of you on my new website and Facebook group.